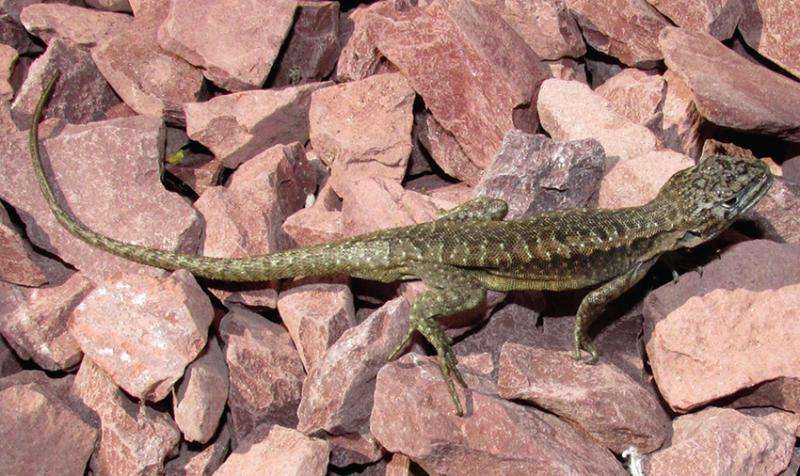 A team of Chilean scientists discover two new species of iguanid lizards from the Laja Lagoon, Chile. The two new species are believed to have been long confused with other representatives of the elongatus-kriegi lizard complex, until recent morphological analysis diagnosed them as separate. The study was published in the 500th issue of the open access journal ZooKeys. The new lizards belong to the genus Liolaemus which contains a total 245 species to date, all of which are endemic to South America. This study looks at species of the elongatus-kriegi complex from two locations of the Laja Lagoon in Chile. Detailed morphological diagnosis helped the authors to describe two new species: L. scorialis and L. zabalai. L. scorialis has its name inspired by its specific type locality composed mainly of scoria volcanic rock after which the species was named. This species is endemic to Chile where it occurs only in two localities. The second new species L. zabalai was named after Patricio Zabala, collection manager of the "Colección de Flora y Fauna Patricio Sánchez Reyes, Pontificia Universidad Católicade Chile" (SSUC) due to his support of herpetological research in Chile, and occurs in southern Chile and Argentina. "In summary, our work describes adds two new species to the species rich elongatus-kriegi complex of lizards from the vicinity of the Laja Lagoon. Nonetheless, there is certainly still much to discover about the diversity of this group of Patagonian lizards," explains the lead author of the study Dr. Jaime Troncoso-Palacios, Universidad de Chile.